With a better understanding of what is aromatherapy and how it works, it is time to take a look at the many health benefits of aromatherapy. Earlier, I used to think of aromatherapy as a luxury that was experienced during an occasional visit to a spa. Turns out I was so wrong about that. When incorporated into our daily lives, the healing benefits of aromatherapy and essential oils are tremendous. 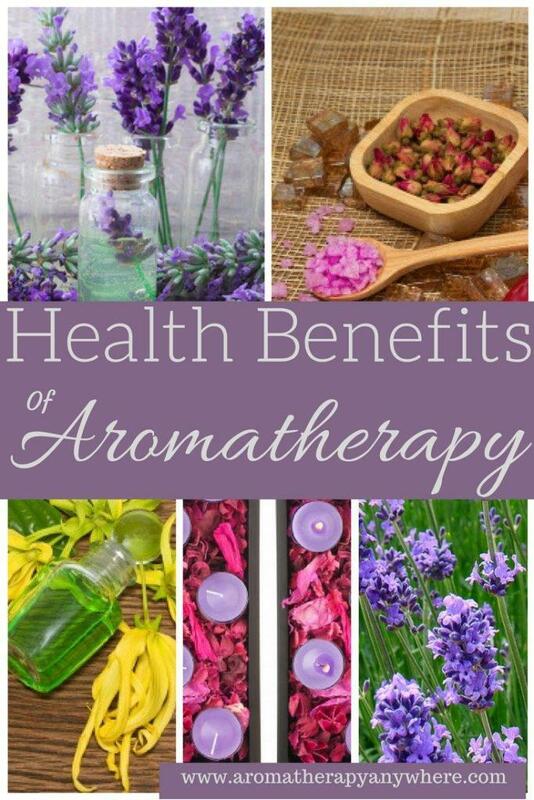 The health benefits of aromatherapy range from reducing pain, boosting energy levels and inducing sleep, to easing depression, eliminating headaches, strengthening the immune system, alleviating anxiety, and improving digestion. And that’s only just a few of the many aromatherapy benefits. Once you experience the healing effects of essential oils, turning on your diffuser is the first thing you will do when you walk in the door! I know many people that even travel with theirs. I do too. You’ve probably heard the expression, ‘I never leave home without my …”. For some people it is their lip balm, for others, it may be their sunglasses or their sunscreen. For me, that something is my travel essential oil diffuser. Today, the health benefits of aromatherapy have been proven without any doubt. Several documented studies have been done over the years to explore different aromatherapy oils and their benefits. 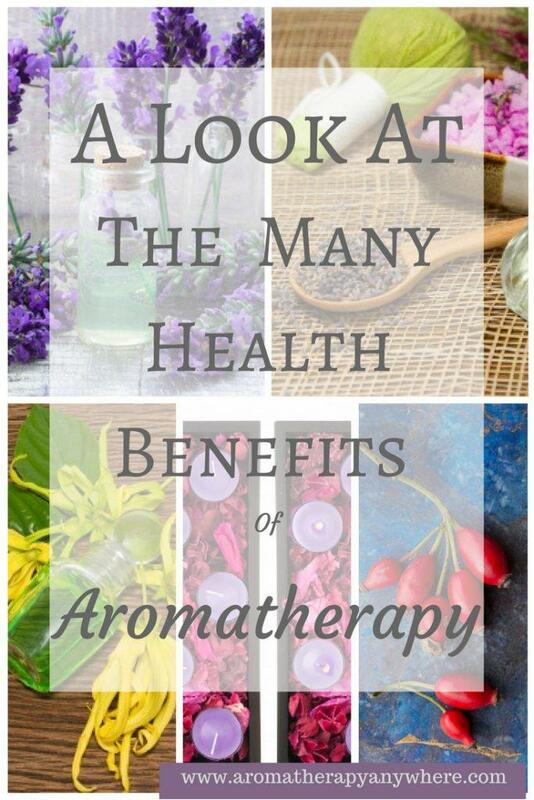 All of these studies have shown that aromatherapy benefits our health in many different ways. Aromatherapy is a fascinating alternative medical practice that involves using aromatic essential oils from different plants to benefit from their therapeutic properties. It works so well to boost our health because of the powerful effect that aromas have on our brain waves. It works so well to boost our health because of the powerful effect that aromas have on our brain waves. We are always inhaling smells. Smells affect all aspects of our lives and help improve our moods and even can affect memory. You may not even realize you do it. You go outside in the morning, stretch and breathe in the fresh morning air. Your nasal passages are filled with the aroma of grass, flowers, trees, wind, wood, rain and more. You go outside in the morning, stretch and breathe in the fresh morning air. Your nasal passages are filled with the aroma of grass, flowers, trees, wind, wood, rain and more. There are a few smells that are sure to remind you of certain incidents in your life. Perhaps the smell of fresh lemon reminds you of your grandmother’s freshly baked lemon tarts or the smell of lavender reminds you of walking through lavender fields with your best friend. We may not even be aware of it at that particular moment but many years later, those long-lost memories can come flooding back when you inhale similar aromas. We may not even be aware of it at that particular moment but many years later, those long-lost memories can come flooding back when you inhale similar aromas. Interestingly, some research has indicated that our skin can “smell” scents too and although we may not be consciously aware of it, a healing effect definitely takes place. Being around certain aromas can imbue tremendous health benefits without you being aware of it. Research conducted with brain scans to see what happens when you smell essential oils has provided interesting insight into how aromatherapy works to heal. When you inhale certain aromas, it activates the hypothalamus, which is the center for the hormones that control energy and drive. Different smells evoke different responses. Certain aromas such as mint can make you feel more energetic and centered. Others, such as lavender can calm you down. You can choose which scents you want to use for your aromatherapy depending on your needs. You can use even combine aromas to make a unique blend for your particular conditions. When used correctly, aromatherapy is a safe and super effective way to manage a wide range of health issues. Today, aromatherapy has come a long way from its earlier version of ‘light a few scented candles and soak in a warm relaxing bath’. As you delve more into this fascinating science, you will realize it is more than just scented candles, aromatic massages and long soaks in a tub of warm water. There are very real therapeutic applications of essential oils and the sheer number of health benefits of aromatherapy can be a real surprise for many people. Pain relief is without a doubt one of the most useful health benefits of aromatherapy. The beauty of using aromatherapy for pain relief is that essential oils can be used several different ways to reduce pain and even to manage chronic pain. Some oils work better through topical application while others work better when applied as a compress on the affected area. Inhaling eucalyptus oil is great for alleviating muscle pain. Inhaling blue chamomile works wonderfully to relieve tired, swollen joints that are both painful and stiff. Topical application of essential oils is more effective to reduce the inflammation and pain associated with arthritis. Rosemary, peppermint, turmeric, frankincense, and ginger are the 5 best essential oils for arthritis pain. You will need to use an appropriate carrier oil before applying directly to your skin. Some essential oils such as lavender and chamomile work their magic by inducing a relaxation response in the body when you inhale their aromas. Most times, that works amazingly well to help reduce the perception of pain. These varieties can be mixed with carrier oils for use in massage. Another way to help reduce pain is to add a few drops of oil into a warm bath. Using aromatherapy for pain relief is the recommended alternative to using over-the-counter analgesics that may help eliminate the pain but will eventually damage your body in other ways. Read more about using essential oils for chronic pain relief . With stressors lurking around every corner, it’s almost impossible for us to remove all stress from our lives completely. However, with the right essential oils, we can reduce our stress levels dramatically. After pain relief, the next most popular and widespread use of aromatherapy is for stress relief. Lavender, ylang-ylang chamomile, rose, bergamot, frankincense, and marjoram are some of the best essential oils to reduce stress and anxiety. The calm inspiring scents of these oils are cheerful and relaxing and help soothe your mind and eliminate anxiety. Persistently high stress levels can be devastating to the mind and body resulting in a wide range of ailments from migraine headaches, neck pain and digestive distress to ulcers and heart problems. Just being able to relax your mind and body can help prevent or at least reduce the incidence of a variety of seemingly unrelated issues. Aromatherapy using the appropriate essential oils is among the top recommended stress-relieving practices. Not only is it effective but it is safe as well and infinitely better than popping pain-relieving pills. Learn more about how to relieve stress anxiety naturally with aromatherapy. Starting with the ability to relax your mind and body, aromatherapy can vastly improve your sleep habits. Getting to sleep, staying asleep, the quality of sleep you are getting, and the ability to wake up refreshed are all quality sleep habits that aromatherapy can help you with. With their calming aromas, lavender, chamomile, vetiver, rose and ylang ylang are the best essential oils for sleep. The two best ways to use aromatherapy for sleep are by soaking in a warm bath to which a few drops of oil are added or by putting a few drops of any one oil on your pillow before you lay your head down. As you inhale the vapors of the oil, you will start to relax and will fast asleep more easily. You will also stay asleep longer. Here you will find all the information you need about what essential oils are good for sleep. When you are feeling down and despondent, aromatherapy oils for depression can help lift up your spirits and reduce the feelings of sadness and anxiety. Using aromatherapy is a safe and gentle alternative to treat depression especially when you consider the many complicated side effects of pharmaceutical antidepressants. Today essential oils are increasingly being used to treat depression as a complementary treatment to counseling. Lavender, geranium, chamomile, jasmine, and peppermint are some of the best essential oils for depression. Putting a few drops each of lavender and geranium a tub of warm water and soaking in it before going to bed will help you sleep better. It also reduces your anxiety levels and helps lift your spirits. 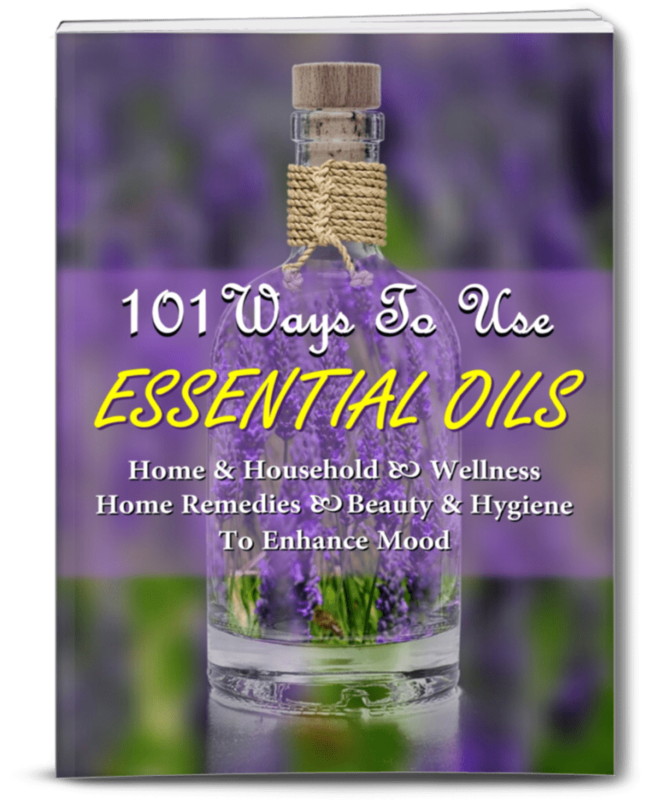 You can read more about using essential oils for depression here. There is nothing worse than being in a plain bad mood. When you are in a bad mood, the smallest setback can get blown out of proportion and appear to be the ‘end of the world’. From the moody blues to true depression, aromatherapy can help to put a smile back on your face. Many aromatherapy scents have potent mood-boosting qualities that scientists have actually measured based on changes in brain waves. Chamomile, lavender, and rose are wonderful scents that help induce the relaxation response in the body to reduce stress and its harmful effects. They are also super effective mood enhancers that promote feelings of calm and peace. These oils can be enjoyed in a diffuser, in a hot bath or by placing a few drops on your pillow before going to sleep. Peppermint and lime essential oils improve clarity and boost passion. Jasmine and Roman chamomile induce happiness and optimism. Looking for a way to set the mood for passion and romance? Check out which are the most powerful aphrodisiac essential oils and how to use them to create a seductive ambiance. With its antiseptic, antifungal, and antibacterial properties, tea tree oil is hands down the best oil to treat a wide array of skin problems. It is the go-to oil during those turbulent teenage years when acne flare-ups seem to occur during the most inopportune moments. Dabbing tea tree oil directly on the acne can help to calm the flare-ups so they are less noticeable. Other essential oils that can be used to improve skin health are geranium, lavender, bergamot, frankincense, ylang-ylang, myrrh, rose, and lemongrass. When spritzed to the skin or scalp, these essential oils soothe skin rashes and itching, and also help reduce dandruff. 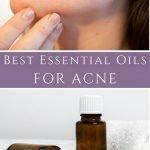 Learn more about the best essential oils for the skin here. In addition to helping your skin look smoother and younger, of these oils also work well to heal wounds faster and protect damaged skin from getting infected. If you find yourself feeling tired and lethargic all the time, you should explore how aromatherapy can help you feel more energized. When diffused around the room, citrus and mint oils will give you an energy boost when you need it most. Many people depend on stimulants such as coffee, energy drinks, and even pills to provide them with energy throughout the day. However, these stimulants can eventually have an adverse effect on our body. If you have chosen to exercise and eat healthy to increase your energy levels, you are on the right path. Still, it wouldn’t hurt if you were to add some aromatherapy to the mix. Cinnamon, tea tree, sage, angelica, rosemary, cardamom, and jasmine are some of the best essential oils for raising energy levels. For an instant energy boost, mix a few drops of a citrus essential oil such as orange or lemon oil in some water and put it into a spray bottle. Spray the air around you and inhale the aromas as you go about doing your everyday chores. In the event that you did not get enough quality sleep the night before, using cinnamon, jasmine, rosemary or cardamom essential oils can help give you an energy boost and perk you up during your afternoon slump. Aromatherapy using certain essential oils such as eucalyptus, peppermint, wintergreen, and melaleuca can also help open up your sinuses and breathing passages so you can breathe comfortably and easily. Some scents such as eucalyptus even have immune boosting and antiseptic qualities that could help with some breathing ailments such as sinus problems or allergies. This Breathe Better Essential Oil Blend contains a combination of essential oils that will help open up the nasal passageways and help you breathe much more easily. Certain essential oils that are used in aromatherapy help boost your immune system, protecting you from numerous illnesses and infections. The powerful antibacterial and anti-fungal properties of peppermint, lemon, cinnamon, eucalyptus, and oregano make these the best essential oils for your immune system. We all get headaches from time to time and that’s just normal. Excessive stress, exposure to too much noise at high decibels and sometimes even some foods are just some of the triggers that cause headaches. Unfortunately, some people tend to experience headaches far too often and some suffer from the more intense migraines that can really affect the quality of life and ruin a whole day. When inhaled, the aromas of eucalyptus, peppermint, rosemary, sandalwood will help calm that throbbing headache. Other essential oils that can be used to reduce migraines and headaches are rosemary, eucalyptus, peppermint, and sandalwood. These oils are usually mixed with almond, coconut, jojoba, or avocado oils before being applied to the skin and/or scalp. To manage your headaches more effectively you first need to determine the cause as there are different aromatherapy techniques recommended for different types of headaches. For example, lavender oil may be more effective than the above-mentioned oils if your headache is caused because of excessive stress. Though more studies are still being done in this area, aromatherapy has been known to ease stomach cramps, bloating and indigestion. It also helps speed up metabolism so foods are digested faster. The best essential oils for digestive relief include lemon, grapefruit, peppermint, ginger, eucalyptus, turmeric, and chamomile. For most people, memory loss and the struggle to form short-term memories is one the most frightening aspects of aging. The beginnings of memory failure may start in the sixties for some people, for others, it may start in their seventies or even their eighties. Although it is impossible to fully combat the effects of aging, there are certain things you can do to slow down this process, especially with regards to memory recall. Aromatherapy using sage or orange oil works amazingly to boost memory capacity. Nursing homes are increasingly using Aromatherapy as a safe and effective way to treat age-related health concerns such as Alzheimer’s Disease, memory problems, and nervous legs. Some studies have also shown that aromatherapy can boost the memory capacity in younger people too. Although the effects of the aromas on memory recall are temporary, this refreshing burst for the brain can be super useful for people from across all ages. Sage is the most commonly recommended oil for the purpose because of its powerful memory-enhancing effect. Here’s a simple yet effective way to use aromatherapy to cure that horrid hangover the morning after. Fill a small basin with hot water. Add a few drops each of lavender, grapefruit, fennel, lemon rosemary and cedar-wood. Dip a washcloth into this solution. Wring out the excess water and place the damp washcloth on your forehead and/or neck. Leave it on for a few minutes. Repeat the process a few more times. The combination of essential oils works to calm down that throbbing in your head and that feeling of nausea, leaving you feeling sober and pain-free. If you enjoy regular nights out at the pub, you may want to keep those essential oils handy. Some essential oils, through either massage or aroma, quickly treat the nervous system. Since the nervous system closely links the mind and body, the oils that influence your nerves have multiple benefits. Clary sage, lavender, melissa, chamomile, juniper, marjoram and rosemary all have calming, sedative, analgesic and/or antiseptic properties. They calm the nerves that trigger activities in your muscles and are also influential over your sense of pain and how relaxed you feel. Your nervous system is closely related to more internal processes than any of your other systems. So you will see the essential oils listed above used frequently as “treat all” applications though massage and in aromatherapy diffusers. Many of the essential oils used to treat your nervous system are highly potent. Too much peppermint can be overpowering, but the aromas are highly effective when used in small doses. When massage is combined with an aromatherapy diffuser the effect can be very strong, and these essential oils should be used in very small quantities. A healthy autonomic nervous system is important for overall health, mentally and physically. Because of this, essential oils for nervous system treatment should be kept on hand. When combined with oils that treat the digestive, cardiovascular and/or endocrine systems, the rapid positive effect on the patient can produce literally life-changing results. There’s no arguing the fact that the health benefits of aromatherapy are far-reaching. Different essential oils can be used to treat or manage different mental and physical health conditions ranging from depression and stress relief to treatment of respiratory ailments, skin conditions, and insomnia. Studies show that it also helps boost cognitive performance, speed up the healing process and improve digestion. The practice of aromatherapy has become hugely popular in recent years as more and more people are learning about the many truly beneficial uses it has on the mind and body. The wonderful thing is everyone benefits with this alternative treatment method, from babies and toddlers to adults and the elderly and even the family pet. How about you? Have you experienced the health benefits of aromatherapy and essential oils? Let us know in the comments below.